ASUS rolled out the new firmware for the phone before April 15th as promised, but just how is it. Here’s our Zenfone Max Pro M1 Android Pie update review. The beta program for the update had been open for registrations since March 1st. I had been part of the beta, so I can tell you how things have improved from Oreo to Pie Beta to Pie Stable. To be honest, the stable Pie Update is not that different from the beta. In fact, the only difference I could see is that support for Camera2API had been enabled in the Stable release. Pie Beta didn’t have it. Let me explain how everything works or doesn’t. 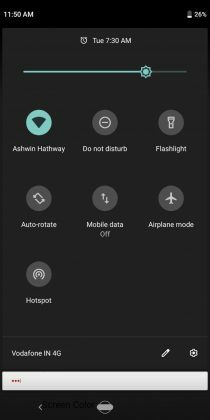 Call quality is fine on Pie, and there were no network drops either. I tested this on Vodafone 4G LTE and Jio 4G. This is somewhat of a let down in the Pie Update. The volume is a bit lower than it used to be on Android Oreo, but with PowerAmp and the Speaker Loud preset it is fine enough. I don’t use the phone a lot for music/video over the speakers, but it was quite loud during my tests. No issues here, it has always been fast for me. This is where I found a massive improvement. The phone felt snappier than Oreo. I thought it could have been a Placebo effect, but no, it does seem quicker. The RAM management is also good and I have 1GB of free memory during average use on the 3GB variant. If you haven’t used Android Pie before, I guarantee you are going to freak out saying your display is dim, and it’s a bug. Well, it isn’t. 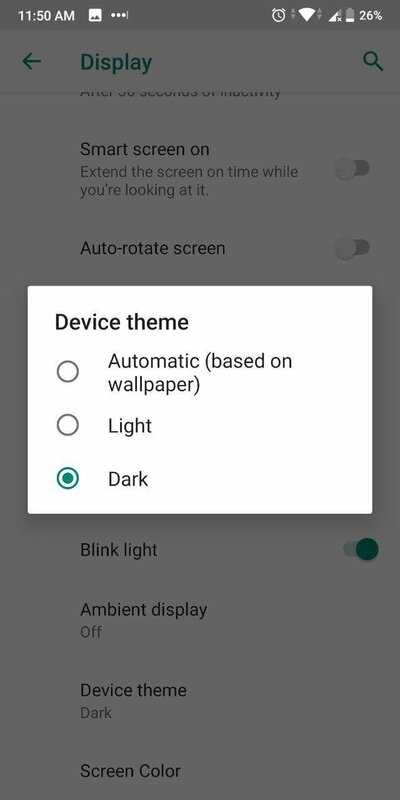 Android Pie introduced finer brightness controls than Oreo had. So if your screen was bright on Oreo at say 25% its gonna look dull in Pie until to crank it up to maybe 75%. The brightness slider didn’t control the brightness like you thought it would. It was like Oreo’s 25% level was actually 75% or more. There’s nothing wrong with your phone. 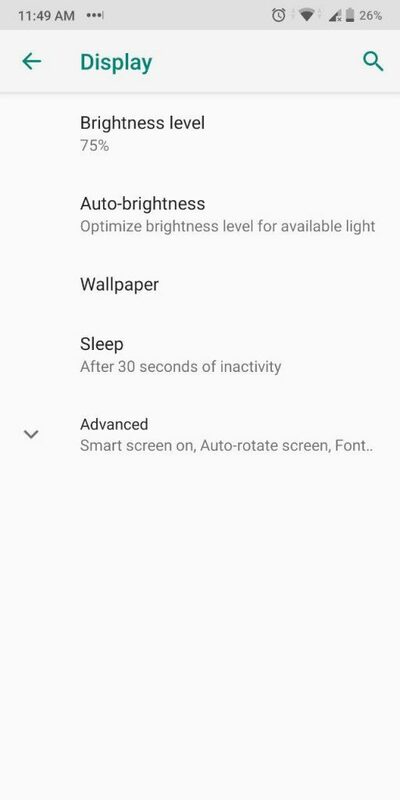 Zenfone Max Pro M1’s Pie Update brings Adaptive Brightness. 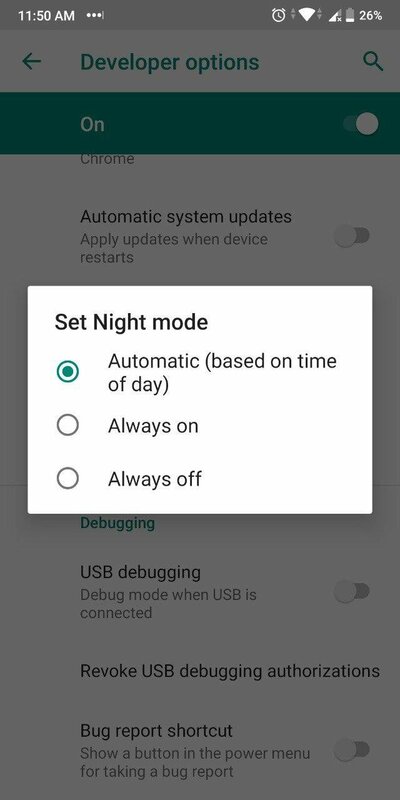 It’s called Auto Brightness (why change the name ASUS?) and works well for the most part, but takes a long time getting used to. 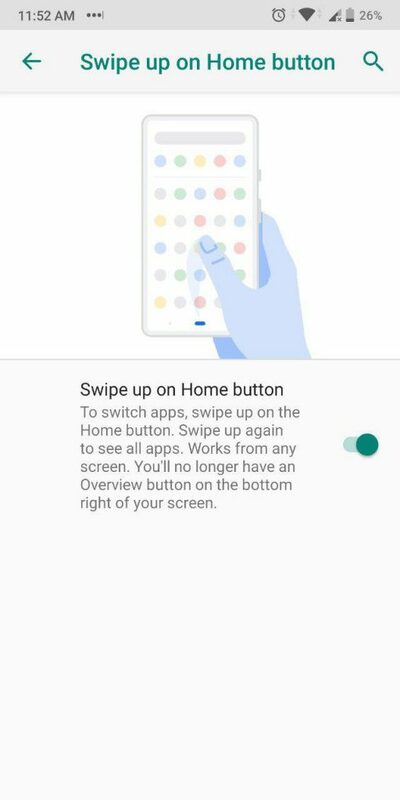 One of Android Pie’s biggest criticisms is the new gesture controls. Either you hate it or you don’t, you sort of get used to it. I’m in the latter category I suppose. This feature is completely optional, by default, the nav bar (back, home, recent apps) is enabled. 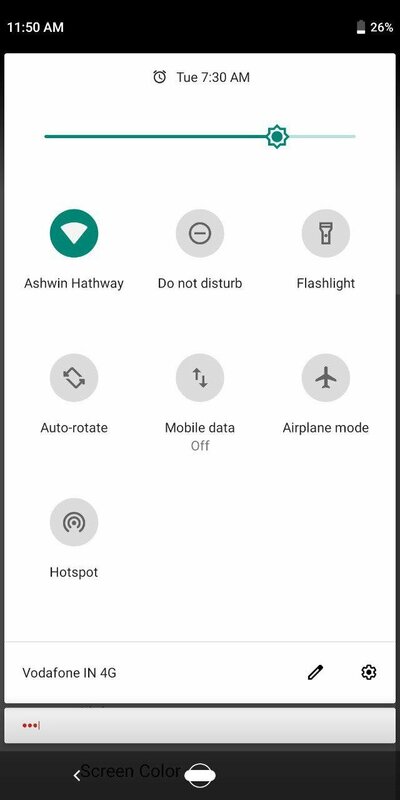 If you do enable the Pie Gestures, you may notice that the home circle icon remains on the Navigation Pill. I’m not sure if this applies to all users, but I uninstalled the Google app (not a fan of Google Now), so it may be due to that. You could fix it temporarily by going to Settings > Apps > Default Apps > Voice & Assist > and select None. But it will be back to “bug” ya. This was one of the bugs in Pie beta, and one which I did report to ASUS, and wasn’t fixed in stable Pie. No complaints here. The Max Pro M1 has always been a battery monster, and remains so after Pie Update. I usually got about 8 hours of Screen On Time (SoT), over 3 days of usage. Standby time is more important for me. I didn’t notice a lot of idle drain, maybe 3-5% max but those were due to some apps/network quality. If I used the phone a lot, I could get 9 hours of SoT, but obviously the standby time would be lower. 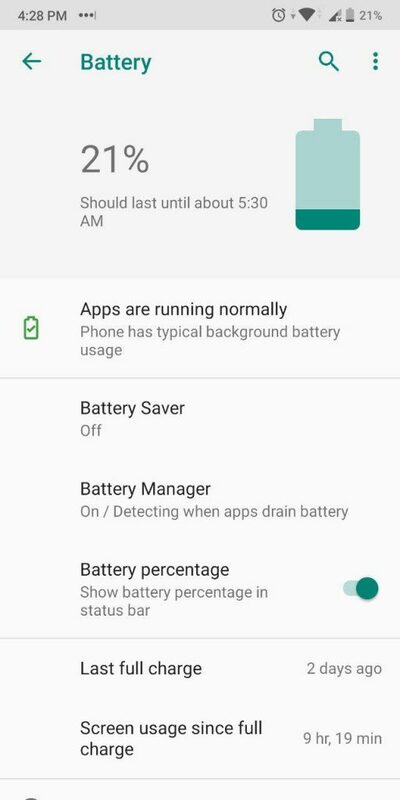 Adaptive Battery is not there in the update. 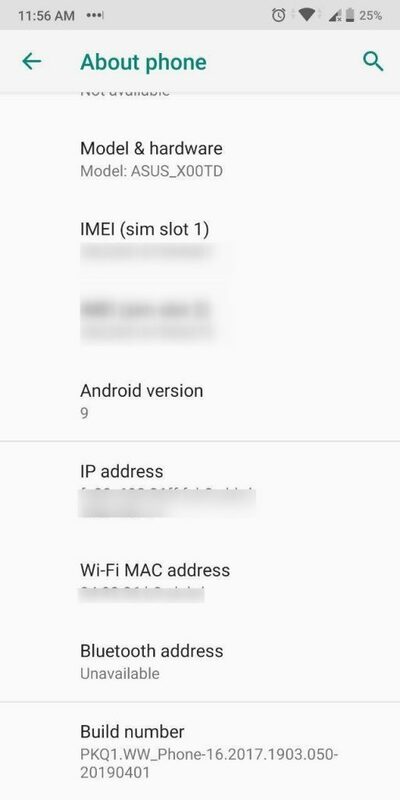 This one is yet another missing feature from stock Android Pie. Not cool ASUS. 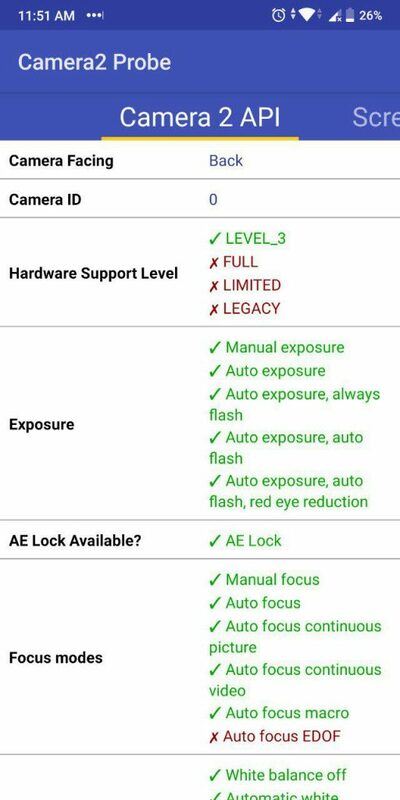 Camera 2 API is back, but it is not enabled by default. You have to enable it manually using a Fastboot command. But once you do it, you can install the latest GCam mod (Google Camera mod), which is incredible. And yes, it supports night sight for low light photos. I’m using gcam_6.2.024_n7p_test1 which can be found here. There are a couple of bloatware apps in the OS, such as the GoPay and ASUS Service Center apps. You can uninstall them using ADB commands on a PC. Then of course, there are a ton of Google apps which you may not use, those can be considered bloaty, but that isn’t ASUS’ fault. 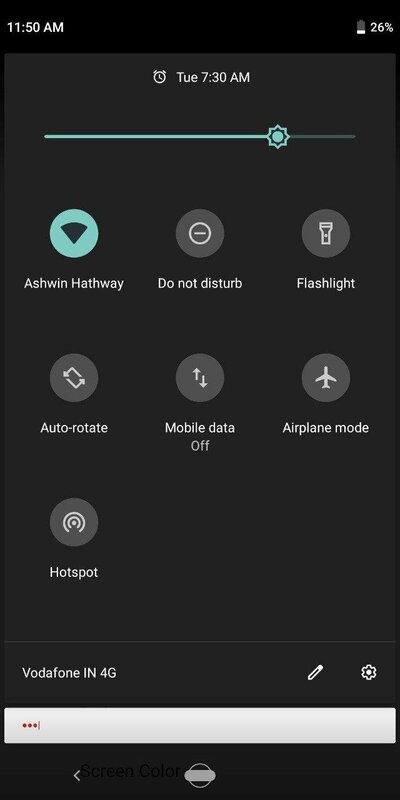 You can choose between a Dark theme or Light theme for the Quick Settings panel and App drawer. It works but it isn’t system wide, the dialer, settings are all still blindingly white, not to mention the new Gmail app and of course other apps. This is without a doubt the biggest flaw in the Zenfone Max Pro M1 Android Pie Update. It isn’t available by default. 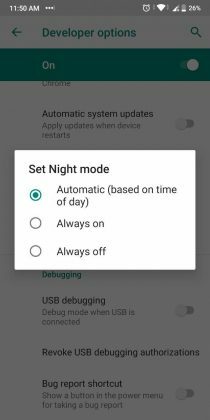 You have to enable the developer options and then toggle night mode setting. But here’s the weird part, even if you enable it, Night light simply doesn’t work. There is no native Video Calling support in Android Pie. If I remember correctly, ASUS removed it from Android Oreo last year for some reason. So yeah, that’s not back and it may disappoint some of you. I don’t play online games, so I cannot comment on PUBG performance or something. Some users say the graphics for the game have been lowered on Pie. Despite all these cons, the Pie update is perfectly stable and can be used as a daily driver. In case you are wondering why the Nav bar isn’t visible in the screenshots, I’m using an app called “Immersive – Low-Level Immersive Mode” to auto-hide the nav bar. It’s a free app and doesn’t require root. Hope you found our Zenfone Max Pro M1 Android Pie update review useful, especially those who are yet to upgrade from Oreo. I didn’t get the Pie Beta to Pie Stable update. I downloaded the full stock image, and manually updated it from the recovery. That’s another thing I wasn’t impressed with, If I’m beta testing your software, I expect an update before stable users get it, or at least it when they get it. It feels like the company did not listen to user feedback at all, and just rushed the Pie stable release without working on fixing some of the bugs in the beta. 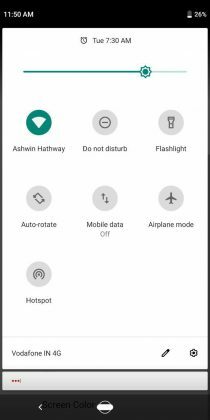 Some Android Pie features are completely missing, so you are not getting the stock Android experience. It’s more of an Android Pie Lite version. ASUS needs to improve its beta testing program.